Lo sentimos&comma; pero esta rúbrica no está disponible en su lengua&period; As a painter, Anton Rooskens was a self-educated man. 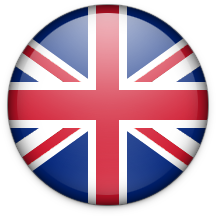 He was born in Griendsveen (Netherlands) in 1909. The influence of Van Gogh and Permeke prevailed, then artworks from the first school of Paris. In1945 he visited the exhibition « L'Art en liberté - Art and freedom - » in Amsterdam where he was confronted with african sculptures from New Guinea. This discovery influenced his work for all his career. 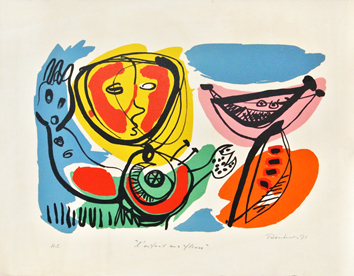 His spontaneous and gestural painting with hallucinated forms and violent colors, permeated with african rhythms, and intuitive surrealism of Miro and André Masson. 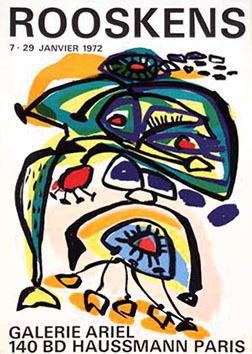 In 1948, Rooskens was the co-founder of the Reflex group which merged with Cobra and Karel Appel, Eugene Brant and Corneille. In 1954, he traveled to Egypt and Africa and he was influenced by african art. After the fantastic Expressionism from Cobra years, Roosken developed a personal language : long lines and heavy black streaks cover a space between light and dark. At the end of the sixties Rooskens artwork became resolutely figurative. He was a teacher at Don Bosco School in Amsterdam. The artist was present in many solo and group exhibitions; a retrospective of his artwork was organized in 1976 at the Cultural Center in Venlo (Netherlands). 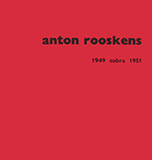 Rooskens is represented at the Stedelijk Museum of Amsterdam and the Museum of Schiedman. The artist died in 1976 in Amsterdam.